President Barack Obama has signed the USA Freedom Act, a new law curbing some aspects of the NSA bulk data collection program. But the agency can still collect the data – the only difference is that now it has to get consent from phone companies. The Senate voted 67-32 in favor of the Act, adopting the same version of the bill that had overwhelmingly passed the House of Representatives last month by 338-88. The Freedom Act will take control of Americans' telephone metadata – information such as the time a phone call was made, to whom it was made, but not the actual content of a call – away from the NSA and place it in the hands of telephone companies. The NSA will still be able get the data – with the difference that it will now be required to submit requests using keywords to access information that could be relevant to terror investigations. Supporters say the bill ends the bulk collection of telephone call records by the National Security Agency as revealed in 2013 by Edward Snowden, a former NSA contractor, as well as "strengthen civil liberty safeguards and provide greater public confidence" in national security programs, according to a statement issued by the White House. But Daniel Ellsberg, the veteran US veteran whistleblower who leaked the Pentagon back in 1971, told RT that Obama’s Freedom Act only provides a “very weak protection of human rights. The mass bulk surveillance of people who are not suspected is a violation of basic human rights all over the world,” he added. The bill “is a symbolic step in the right direction but it isn’t meaningful in a practical sense at all. The vast majority of the NSA programs were not even under discussion in the debate of the Freedom Act,” American political cartoonist and author Ted Rall told RT. 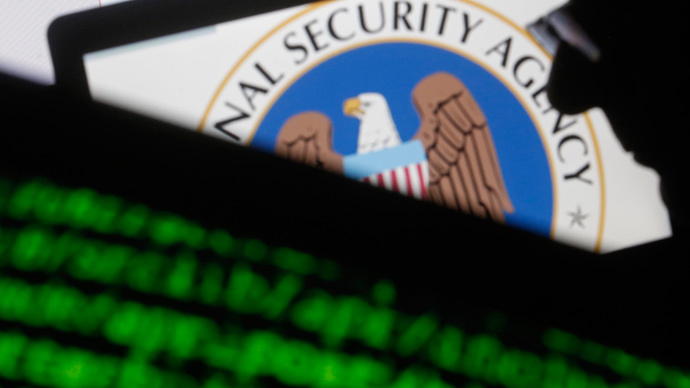 The NSA came into the media spotlight in 2013 when Edward Snowden leaked thousands of classified documents to the media, revealing the organization’s widespread massive surveillance. Shortly after, the US Department of Justice charged the whistleblower with two counts of violating the Espionage Act as well as theft of government property.